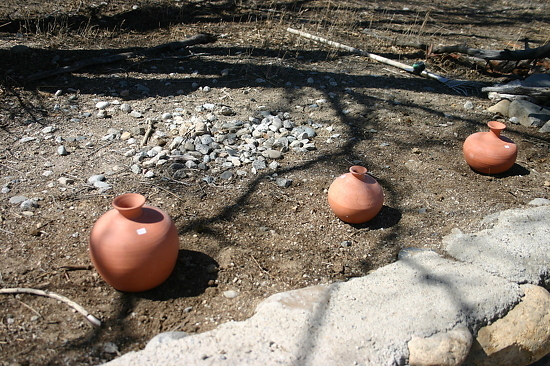 Pronounced "oy-yah", these unglazed pots are planted in the garden then filled with water. 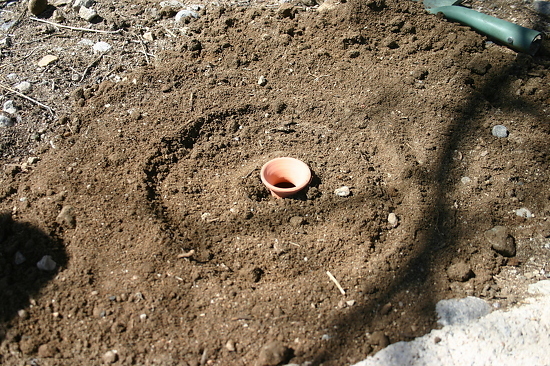 The water gradually seeps through the pottery, giving the soil a nice subterranean soak. Suzanne calls this "technology so smart, it has to be ancient." Though ollas are thought to have been brought to the Americas from North Africa by the Spanish, research has found evidence of ollas in China up to 4000 years ago. Ollas are best used for herbaceous plants, grasses, vegetables and perennials. 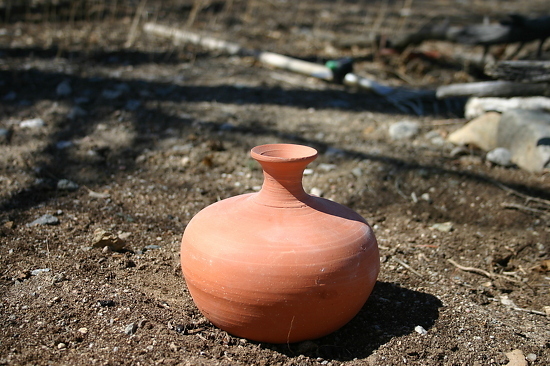 Some wood plant roots may break the olla as the woody roots enlarge over time. Different sized ollas are used for different plants or groups of plants. Small plants or shallow rooted plants need a smaller olla and plants with deeper roots or which need more water need a larger olla. 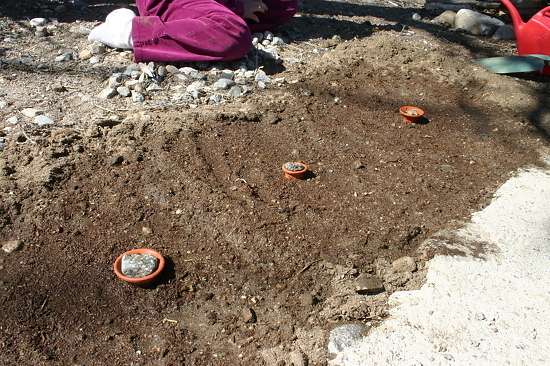 After the olla is buried and filled with water a rock, cap, or cork can be placed over the top to prevent insects and dirt from falling in the pot. A drip system can also be set up to fill the olla automatically.